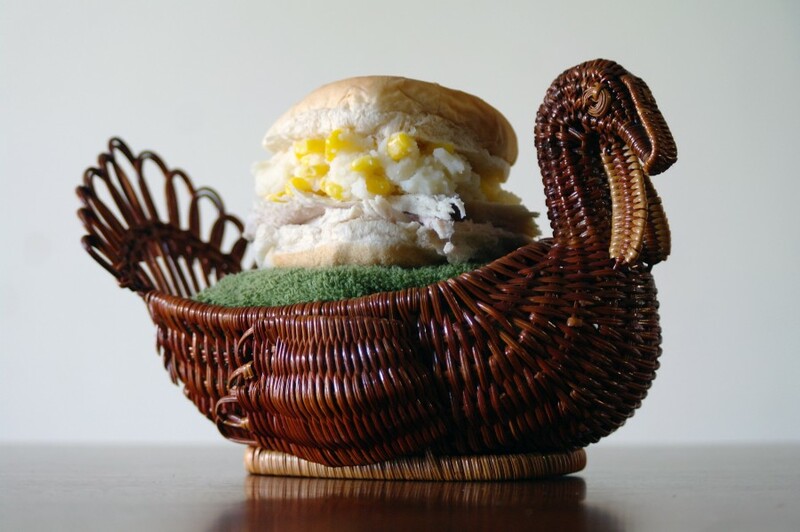 For a Friday bonus sandwich, feast your eyes on this feast of Thanksgiving leftovers. Sure, the cranberries are missing, there’s no stuffing, we forgot the pumpkin pie, and it’s a bit dry without gravy, but maybe that’s okay with you. In fact, if your potatoes are buttery enough, you won’t have any issues with dryness. And the corn mixed in provides occasional shots of juiciness. The base of turkey is still what makes the holiday so memorable. Be thankful for sandwiches. Yum. Thanksgiving Leftover Sandwich Part 2 is coming on Monday!